I got myself an Acer Aspire One AO531h in December 2009 from MTN direct on a data contract. This little machine is small and lite enough that it is now always with me. All I upgraded was the RAM from 1Gb to 2Gb. The machine ships with Windows XP Home Edition that works very well, but still is XP. I then tried the Beta of Ubuntu Lucid Netbook Edition on it which also worked well, but some things just wasn't lekker. Thursday I decided to give Windows 7 a go, and what an improvement! Everything just works, and works well. 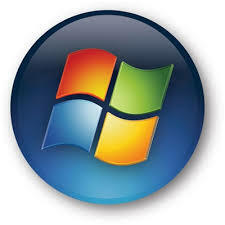 As a MAPS subsriber, I used the Windows 7 Ultimate ISO that I downloaded for the installation. I downloaded Novicorp WinToFlash from http://wintoflash.com/ and used it to prepare my 4Gb PTA WUG USB stick. It takes the ISO image as the source, and the USB stick as destination and builds the whole stick for installation. This was done on a very old Windows XP Home machine. I then booted from the stick on the Acer Aspire One and did the standard installation, and that is it. All the devices worked with Microsoft drivers. I did allow Windows Update to replace some drivers, but everything works, and works well. The biggest change is battery live. I've gained at least 30 minutes with the upgrade! Additionally I used "Windows 7 Taskbar Thumbnail Customizer" from http://www.thewindowsclub.com/windows-7-taskbar-thumbnail-customizer-released to reduce the size of the taskbar to not take so much screen on the 10" display. 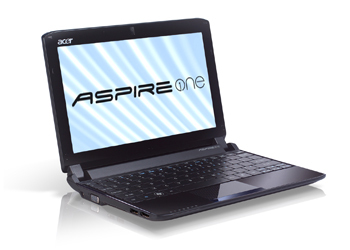 Windows 7 on Aspire One, absolutely yes!